1. 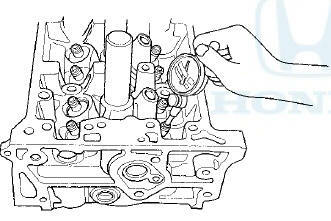 Remove the valves (see page 6-86). 2. Subtract the O.D. of the valve stem, measured with a micrometer, from the I.D. of the valve guide, measured with an inside micrometer or a ball gauge.